Look, Ma – no radar! 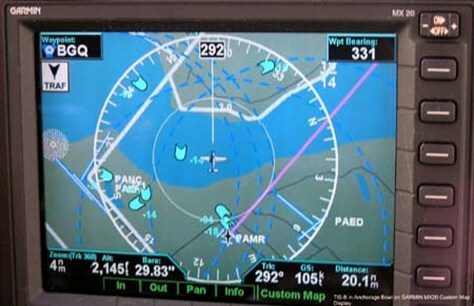 ADS-B displays in the cockpit will provide pilots with a wealth of information to help them fly their aircraft safely and efficiently. Not only will ADS-B displays show pilots where other aircraft are in the skies around them, but they also will be able to superimpose terrain and weather information to improve pilots' situational awareness.